Starting 16 years ago with just 1,000 eggs the Easter egg hunt has grown to over 10,000 eggs. "We give away 40 bicycles. We also have over 1,000 prizes that we give away,” says Brian Halak, who started the community egg hunt with his wife, Sara. The egg hunt started with the Halak family, but it couldn’t be a big as it is today without a little help. In 2018 we had a big snow storm but 20 volunteers braved the snow to put the eggs out, not to mention the volunteers who helped stuff eggs beforehand. Local businesses also donated all of the prizes. “It is sponsored by the Nevis Chamber of Commerce and the Nevis Fire Department, because without them, we could not have this event,” says Sara. 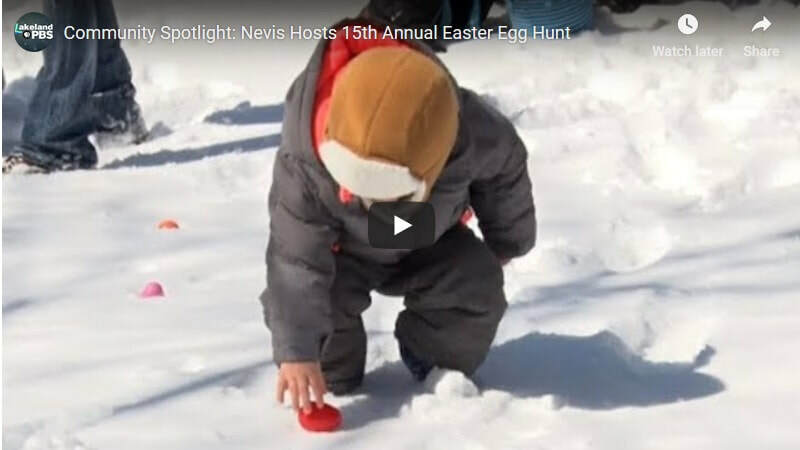 Over the years, the Nevis egg hunt has become a staple in the community, so canceling it was out of the question. One of the reasons it was started in the first place is because there was no other event like it in the area. It doesn’t matter if it’s sunny, raining or snowing – the Nevis egg hunt has never been canceled. Even with the weather conditions, the egg hunt usually sees about 1,000 kids each year.